Restaurants serving beer brewed on the premises were all kinds of trendy in the second half of the 19th century. One of the best surviving examples today is Bofinger, located right next to the site of the former Bastille prison. The food is largely inspired by the Alsace region, so think sauerkraut, sausages, ham, and other parts of the pig that are all just fantastic. 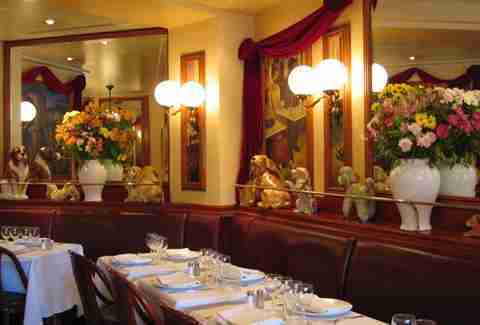 The Belle Epoque dining room is magical and unapologetically Parisian, with generally fewer tourists than its brasserie brethren. 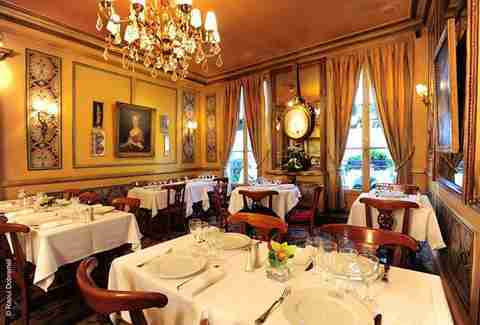 La Petite Chaise calls itself the oldest restaurant in Paris, dating back to the time of the Sun King, Louis XIV. The décor reinforces this assertion with candelabras and old portraits on the walls. It’s borderline tacky, but you get used to it. 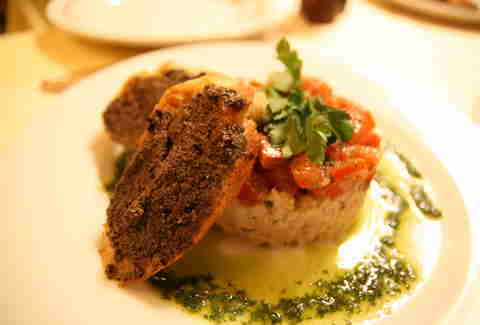 The food is billed as classic French, with onion soup, steak tartare, and duck making appearances on the menu. While not a place frequented by locals, it must be doing something right to have survived for over 300 years. Claiming to date back to the 16th century, this restaurant was a favorite of king and emperors over the years. It was here that France’s King Henri III apparently used a fork for the first time in the 1500s, forever changing the way the French eat. 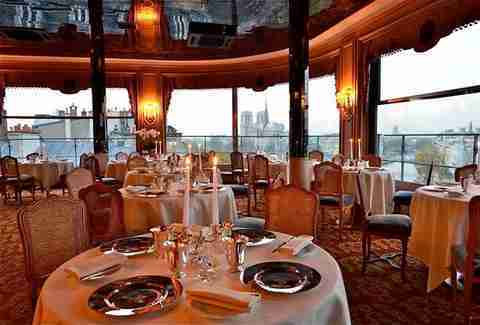 While still popular among the upper sets (note the prices), its history, views overlooking Notre-Dame, and Michelin star make it one of the most iconic tables in Paris. It sources ducks from its own farm, having served more than one million of them. 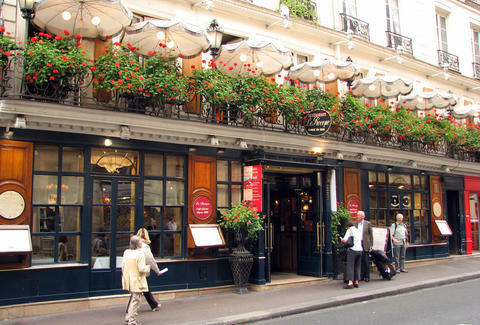 Few Parisians are rushing to dine at Le Procope, a favorite among tourists visiting the Saint-Germain-des-Prés neighborhood. It was here that items like sorbet and coffee became popular in Paris, making it essentially the city’s first and oldest café. The establishment is no stranger to out-of-towners -- Napoleon Bonaparte and Benjamin Franklin are on the long list of notable names that have passed through its doors. 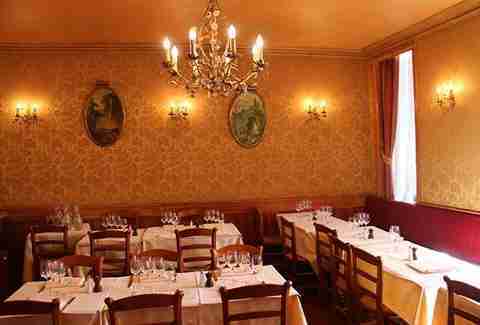 The food is classic French and up to snuff if you’re OK dining with other tourists (French ones included). “The Smoking Dog” has plenty of Old World charm in the décor and pretty good service, along with a smattering of kitschy dog statues all over the place. This restaurant was once the hangout for the market men who worked at Les Halles, the wholesale market that once stood just in front. Today, it’s an unassuming place that many seek out to experience the Paris of yesteryear, with familiar French dishes, including plenty of oysters. The prix fixe is also a fairly good deal for this part of town. It’s all about the cuisine of the Burgundy region at this 19th-century eatery, and that means snails. Buttery and garlicky, it’s basically a given that you’ll order some while sitting inside a dining room trimmed with dark wood and a burgundy-red décor. 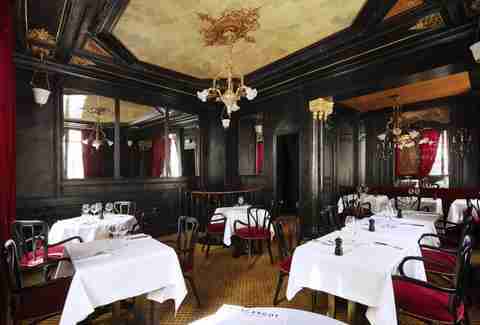 The restaurant, like many on this list, is a historical monument, and the prices reflect a dining experience in a sumptuous Second Empire establishment -- but it does have a sort of snack menu with various salads, egg dishes, and soups that are more reasonably priced. Regulars used to leave their own napkins in the drawers to the right of the entrance. It was that sort of place. 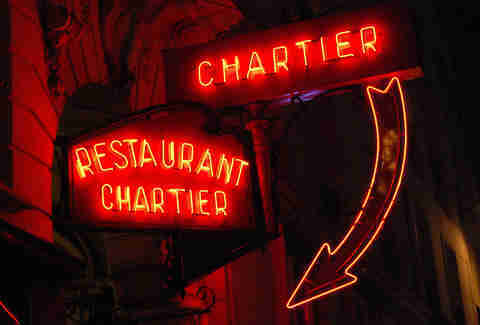 Today, tourists (and a few indiscriminate locals) know Chartier for its French food and wine at rock-bottom prices -- though, as such, the quality suffers. But let’s be honest, people don’t line up for the food. It’s kind of an experience, with brusque waiters writing your order on the paper tablecloth and telling you what to order (they know best) while they hustle around the beautiful dining room with its wood paneling and globe lighting. It’s just plain, unabashed, century-old fun. 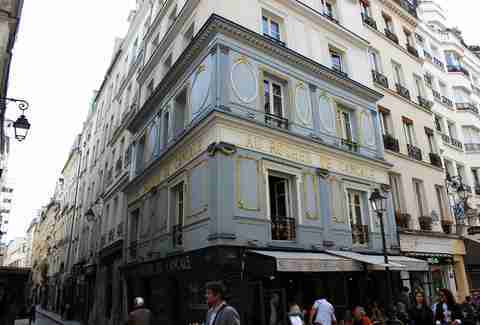 Visited by anyone who was anyone in Paris (think Victor Hugo or Simone de Beauvoir), this trendy café became the city’s first glitzy restaurant around 1820. Despite a brief lack of luster between 1905 to roughly 1945, when the restaurant was a dive bar, it went on to earn three Michelin stars in 1953 though it lost one in 2008. Scandal. Today, the food is outrageously priced, so obviously it has to be good. At night, Au Rocher de Cancale still sells the oysters that were consumed like crazy back when this place opened. Apparently they weren’t originally sold on the menu, but were served as an amuse-bouche, you know, to get you in the mood for the real meal. Today, after a few touch-ups, the restaurant has been returned to its (we assume) original splendor. In any case, it looks good, and the people-watching from this former literary and artistic haunt is as good as ever along Rue Montorgueil. 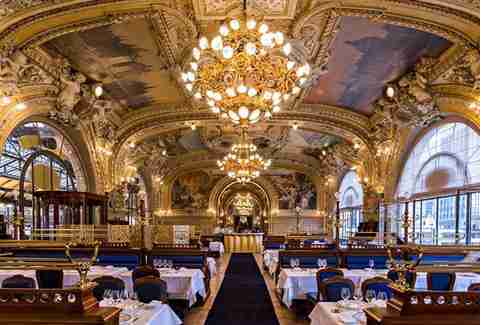 When you think of train travel, good food rarely comes to mind, but at the Gare de Lyon train station, this little jewel box of a restaurant might change your mind. 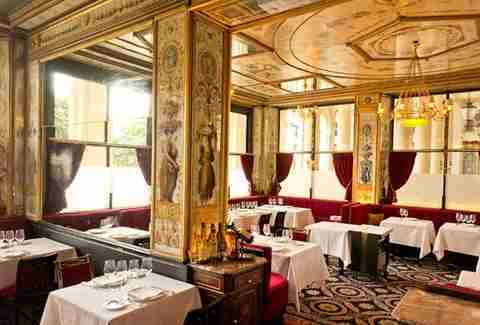 Whether you’re heading off to the south of France or just want a classic French meal, Le Train Bleu dining room -- entirely renovated in 2014 -- is the youngest on this list, but one of the most stunning. It’s no wonder Coco Chanel and Brigitte Bardot were regulars here. 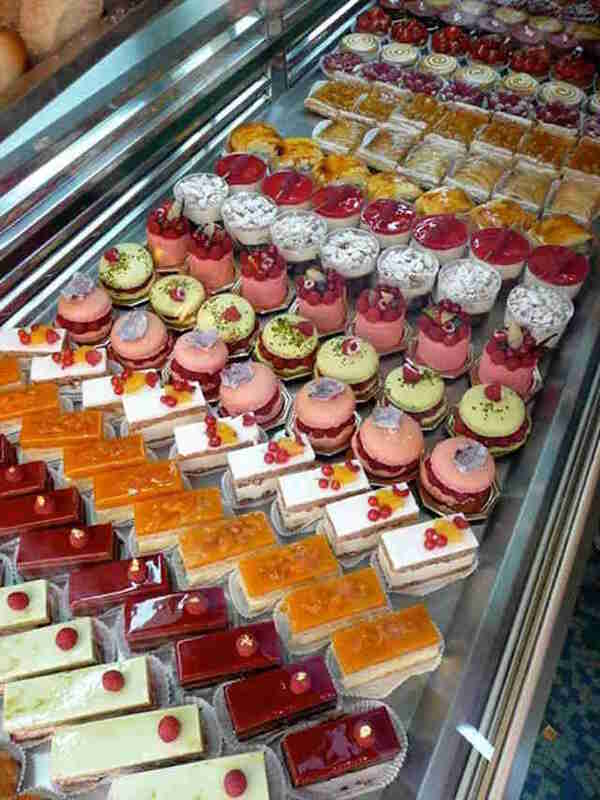 We’re cheating a bit here because this is actually a bakery, not a restaurant, but the picture-perfect food could be plated at any local bistro, and you’d be none the wiser. The decoration alone, including a ceiling decorated by the same artist who worked on the opera house’s foyer, makes it worth a visit. The institution dates back to the 1700s when Louis XV’s new wife, a Polish princess, brought her caterer with her to Versailles. He opened up this shop in 1730. This is where rum baba was invented -- cake soaked in rum. Can you really go wrong?